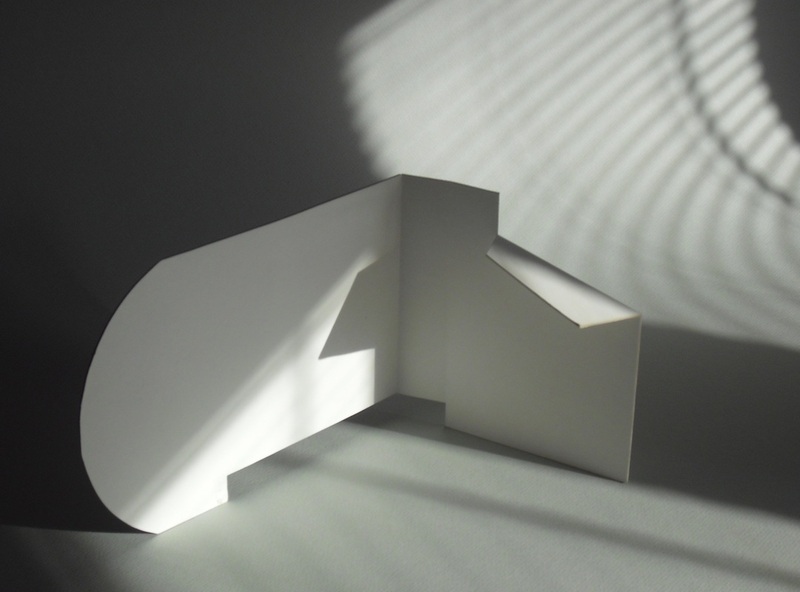 space/form, sculpture maquette, 10x15 inches, Illus. bd. 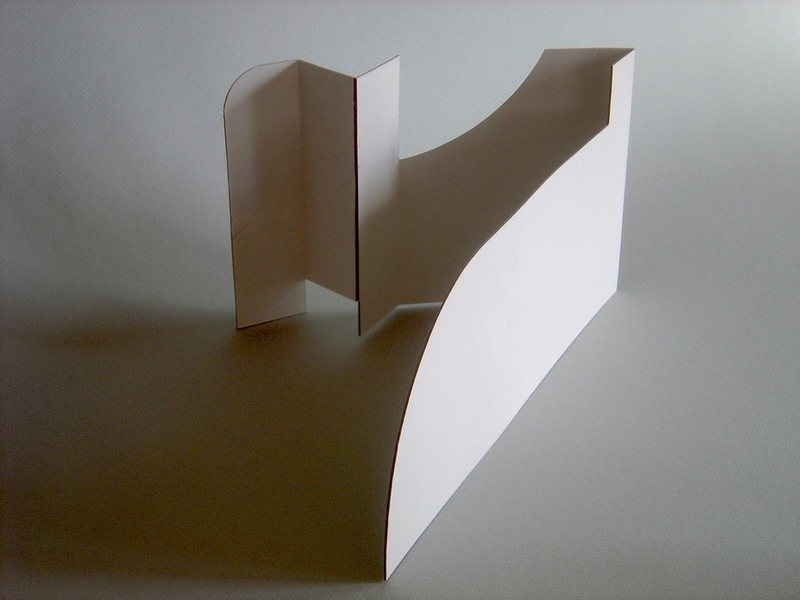 space/form2, sculpture maquette, 10x15 inches, illus. bd. 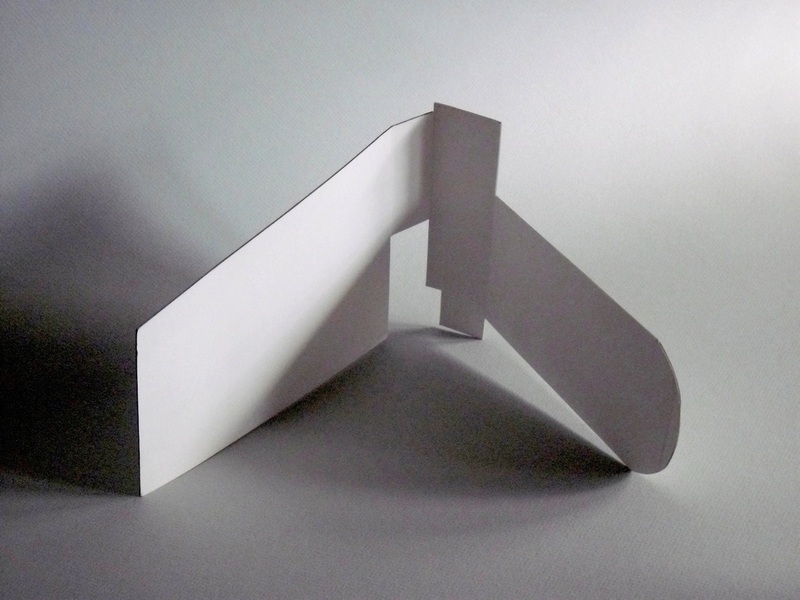 space/form3, sculpture maquette, 10x20 inches, illus. bd. What a fun opening night! Great to see so many friends and new faces! Thanks so much for attending! I was happy to feature a small selection of space/form color images I have recently been exploring to include a few new works in progress. Pictured above are a sampling of sculpture maquettes I created sometime ago. Though the maquettes are in rough shape, several photographs of these small sculptural studies of space, form and light were in the show. I always thought these studies, once realized could be stand-alone life size sculptures, defining space inside or out, in a room, office or even in a private or public garden space. Right now I am exploring use of a sustainable material, feasibility, durability and cost, of course - then color, surface design... continuing to be intrigued with these forms. I am continuing to explore the computer generated image making process and possibilities - color variations of the maquette photos and considering possible new applications for the work, whether 2-D or 3-D - digitally manipulating the space and form images with color relationships - and light seems to offer an array of unique design potential - I go back into computer generated images with latex enamel and painterly mixed media overlays to see just how these color, surface and spatial relationships might work together. In addition to these, I continue to exhibit a few earlier abstract paintings - to see how they hold up...in the context of a new time and place. I still have a selection of my recent work at LIZZARD'S Art Gallery & Framing, and featuring the "MY DULUTH" print, with a portion of sale proceeds of this 5-color silkscreen to benefit continuing 2012 Duluth Flood recovery efforts by United Way of Greater Duluth. To learn more about this, click on "MY DULUTH print..." on the website header. Hope to see you in the galleries! All works are for sale unless otherwise noted. You are welcome to get in touch with me directly - just use the CONTACT link in this website header.